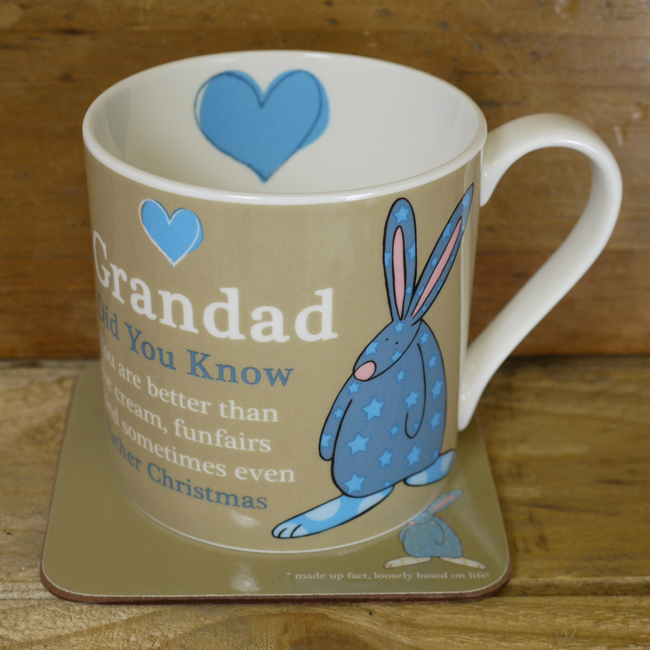 Grandad mug & coaster Set.The PERFECT gift for all of those brilliant Grandads out there. Grandad. Did You know... Grandads are better than ice cream, fun fairs and sometimes even Father Christmas. 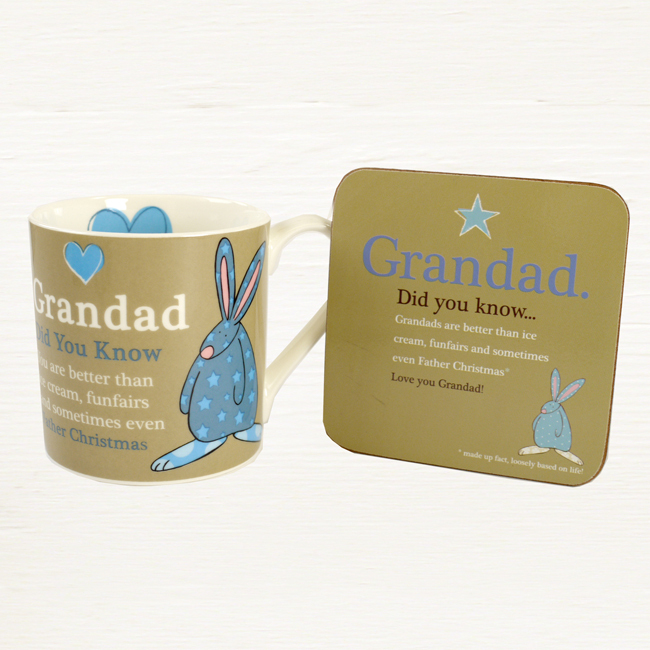 The PERFECT gift for all of those brilliant Grandads out there. Rufus’ bone china Grandad mug & coaster set is a great gift for a well needed brew and the matching coaster is a practical addition to any household for everyday use. 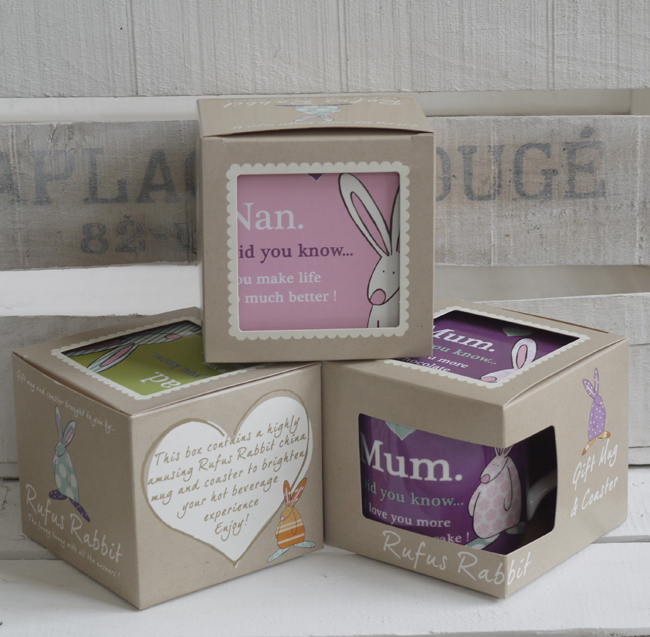 All Rufus Rabbit coasters have the highest quality matt lacquered surface meaning that they are scratch and scuff resistant and able to withstand temperatures of up to 100 degrees C. With a cork backing, this coaster is slip resistant and easy to keep clean.